Also on Sunday the 7th October, local legends King Leviathan will play at Mammothfest for the final time, with their performance being one of their last in their hometown of Brighton, so come and show them some support for the last time. The winner of the 'Mammothfest Best Band 2018' will be drawn on Sunday night after all the bands who took part have performed. 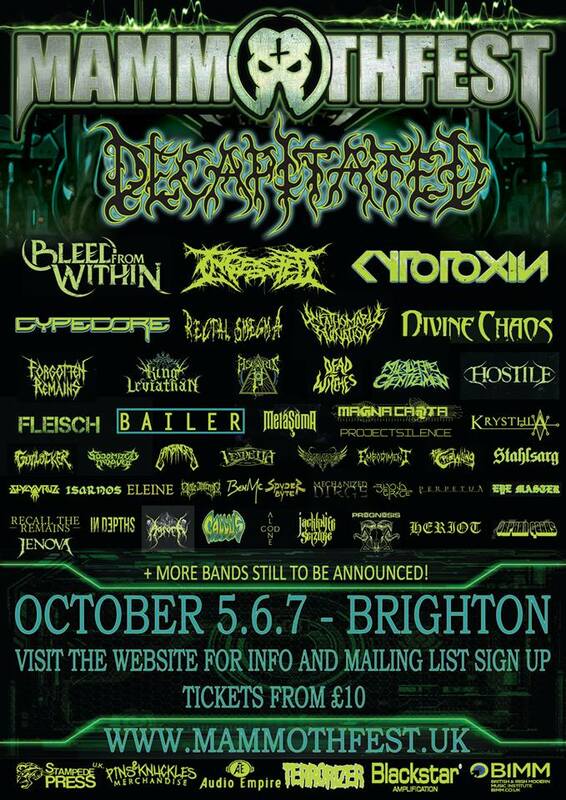 Get planning and come and witness the mental line-up and carnage that will unfold yet again at Mammothfest - see you at the festival! **Walk-up tickets will be £5 more expensive than advanced tickets.